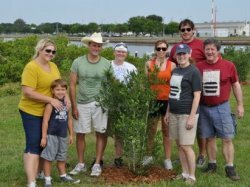 Whether you have an hour a month or a few hours a week, Sustany® seeks volunteers to serve as Board members, plan the Sustainable Buzz- celebration of local food and drink, participate in coastal and park clean ups, and connect us with projects and programs which promote sustainability in Tampa Bay. For more information or to have your organization’s volunteer opportunities listed on this page please contact info@sustany.org or phone 813-507-1111. The Sustainable Buzz is Sustany®’s annual fundraiser and local food, craft beer, and organic wine. ThinkSustany® is Sustany®’s blog on sustainable initiatives in Tampa Bay and other related news. Sustany® partners with businesses, schools, nonprofits, government and individuals who want to improve the quality of life in Tampa Bay. If you have a sustainable initiative and need assistance feel free to contact info@sustany.org or call 813-507-1111. As a local nonprofit organization, Sustany®’s success in promoting and funding innovative community projects that enhance the natural and cultural aspects of Tampa Bay, relies on your support. Please consider supporting Sustany® with a donation today!